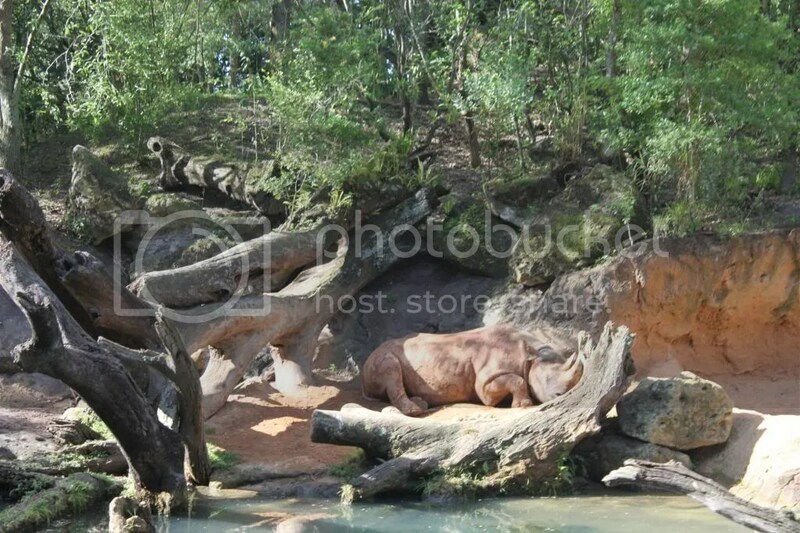 Day 6 - Animal Kingdom - take 2 - Life. Love. Reality. 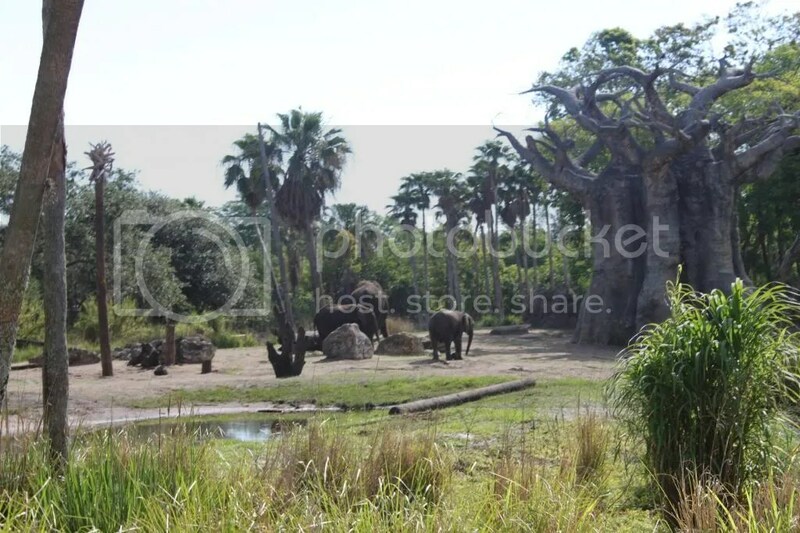 We had such a good time at Animal Kingdom the first time we went back again. We knew that we wanted to have a very relaxed day so we just did a half day at the park. We then came back and enjoyed an afternoon of swimming and hanging out at the pool. 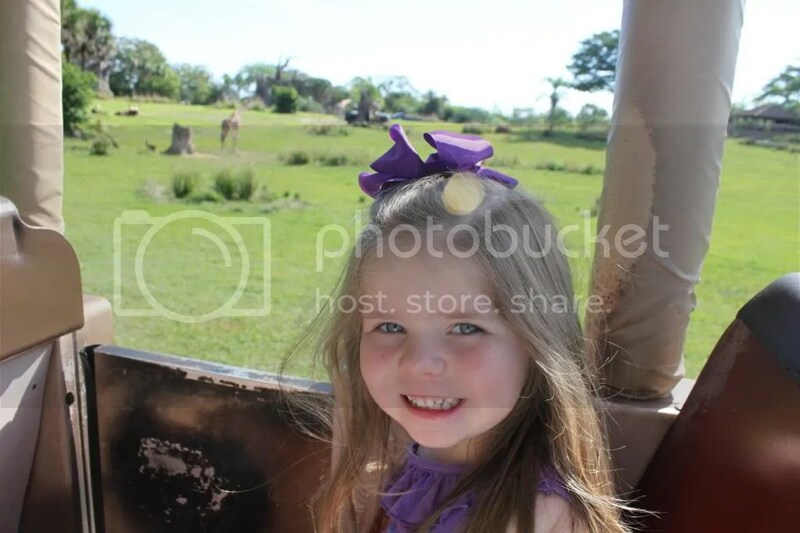 Ready for the Safari ride. 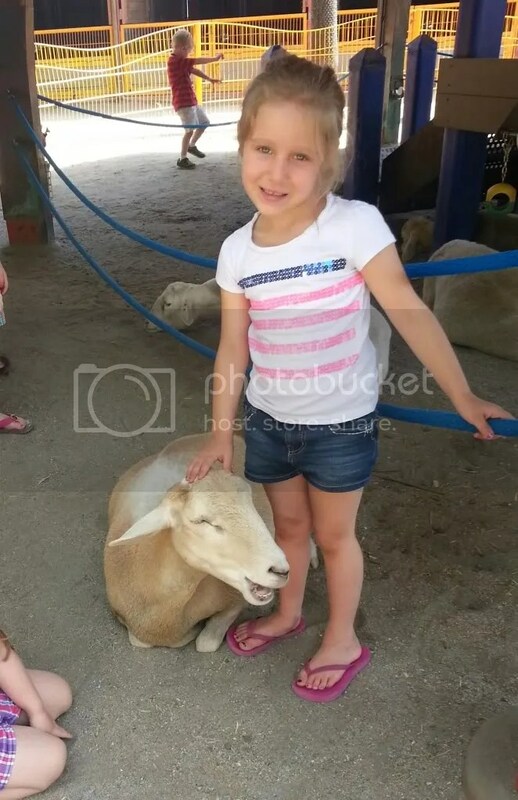 This time we saw a lot more animals. 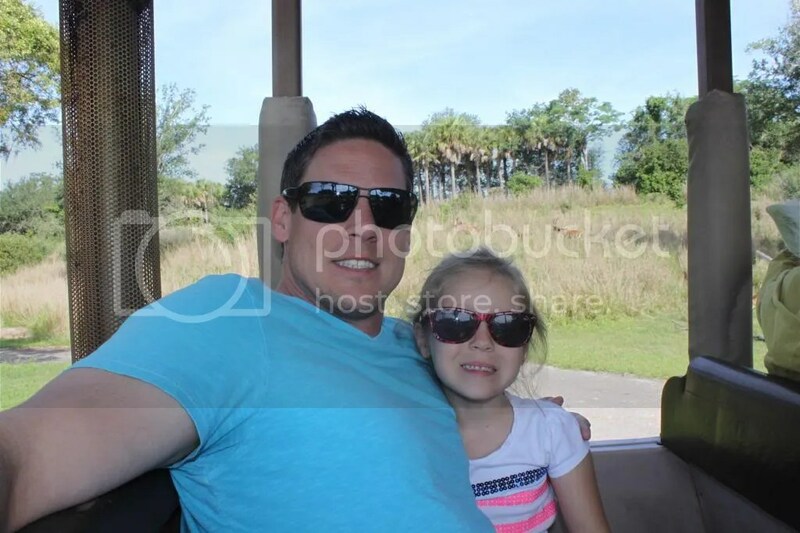 Looking cool in their sunglasses. 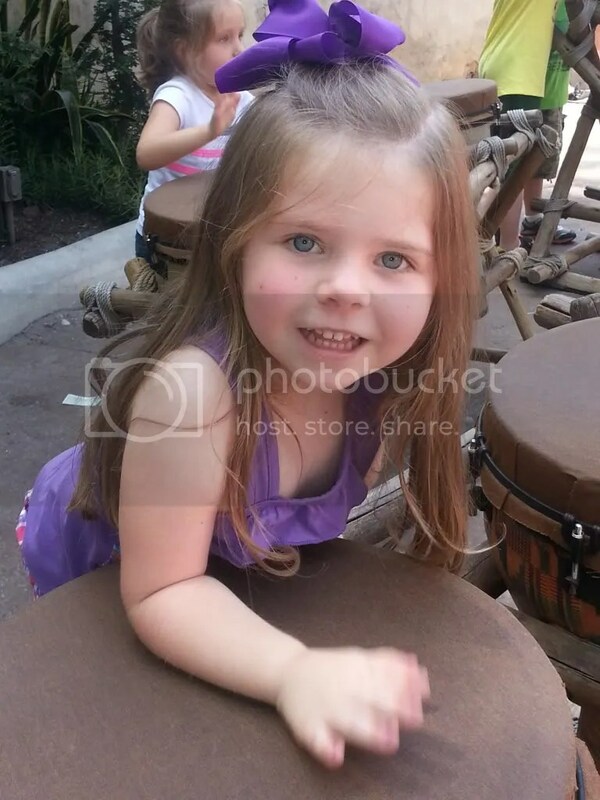 Just had to post this picture of Abigail. The giraffes were all out this time. and so were all the elephants. 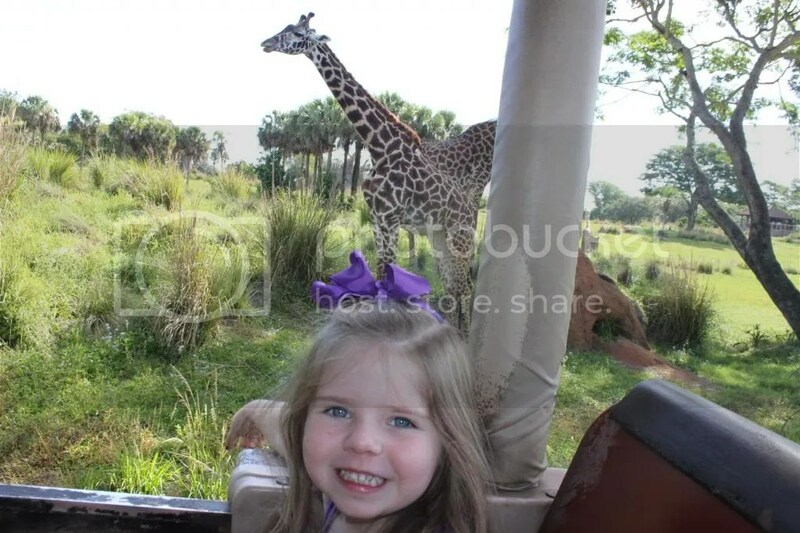 We rode the Wildlife Express Train out to Rafiki’s Planet Watch. 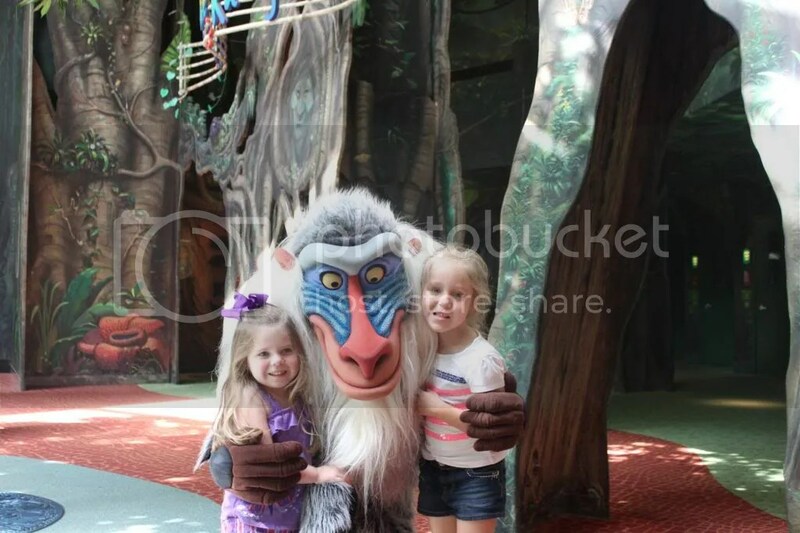 When we got there we were able to meet Rafiki and have a quick picture. We then went out to the Affection Section to see some animals. 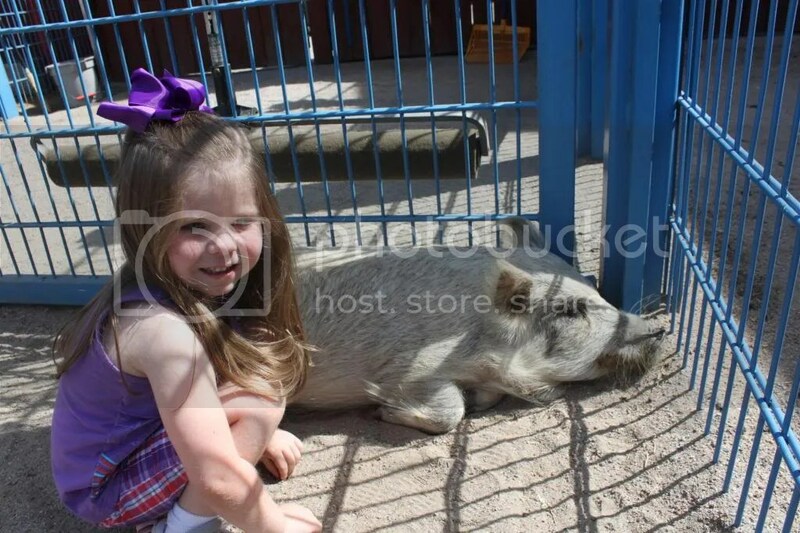 Kate enjoyed petting the animals. 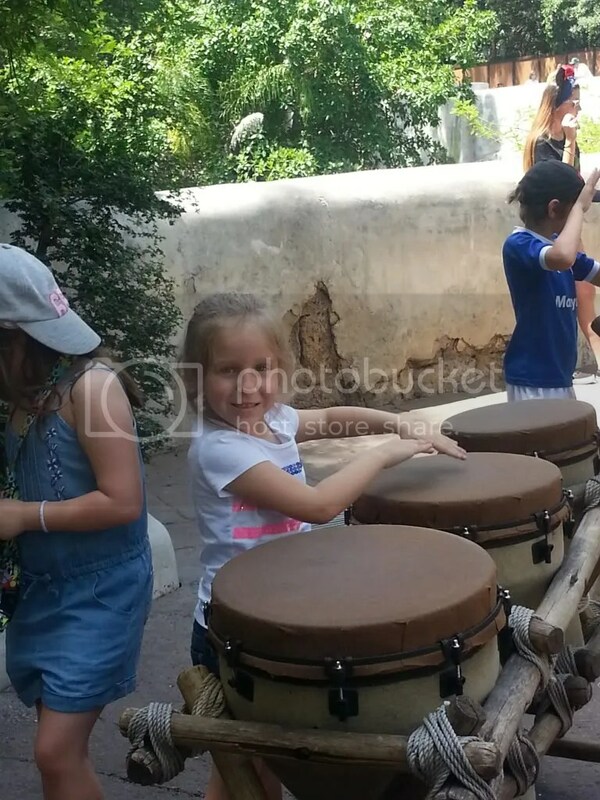 The girls really wanted to play these drums. 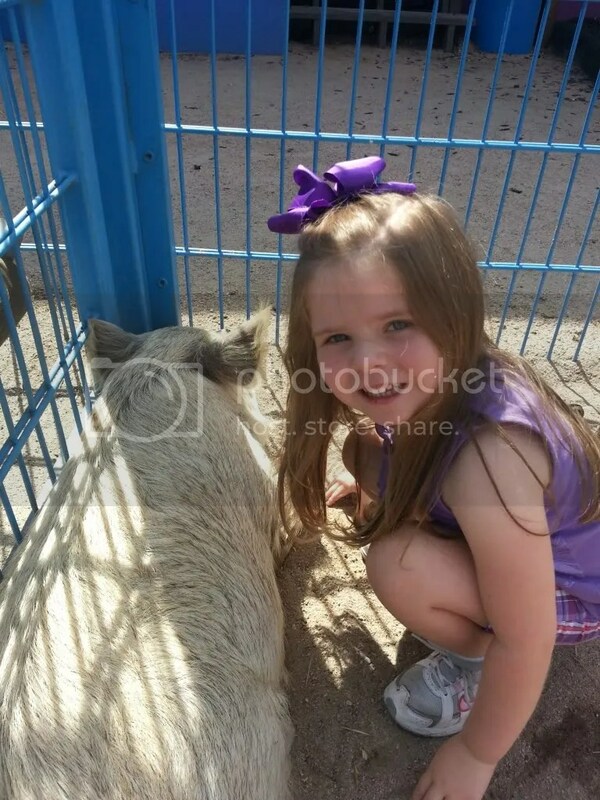 Kate had a great time! 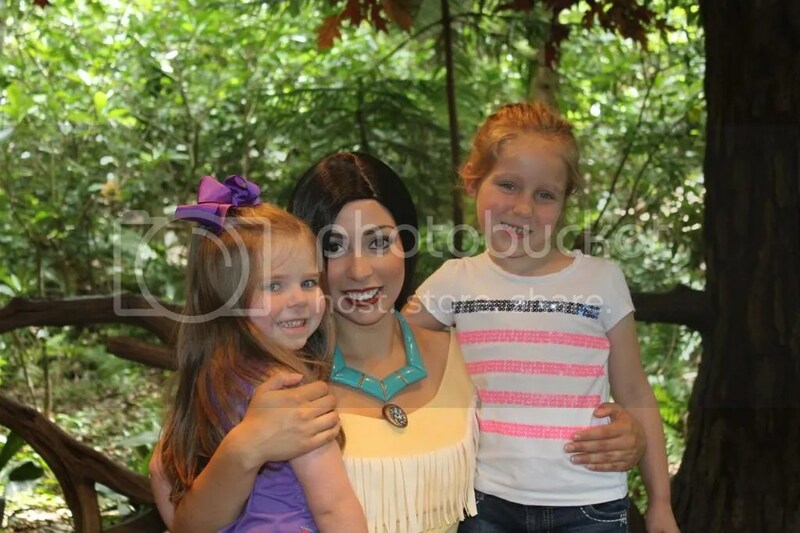 Our final stop of the day was meeting Pocahontas. 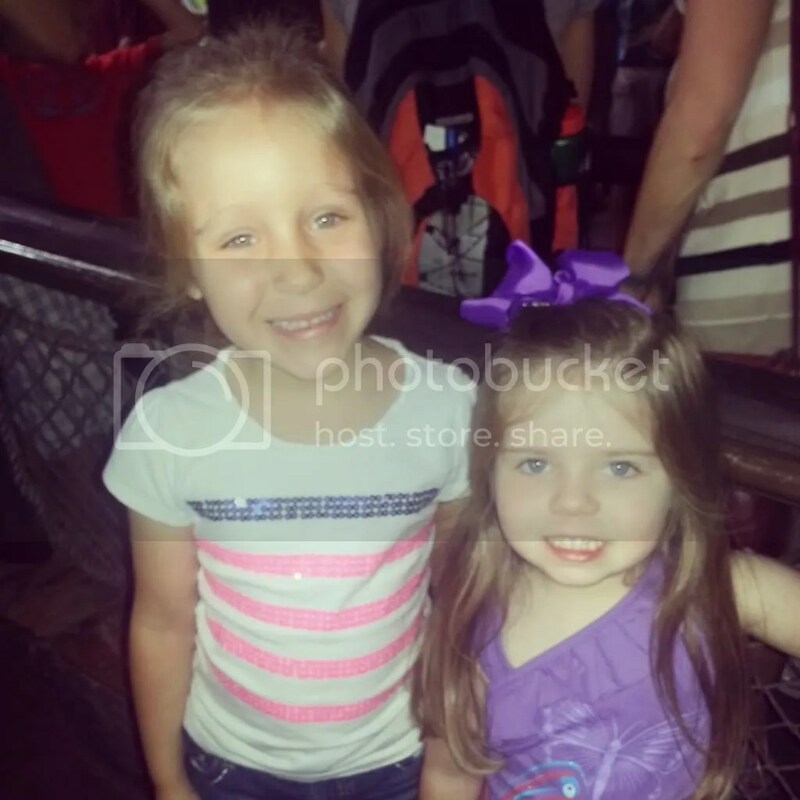 If you ask the girls about their trip to Disney World they will tell you that their favorite part was meeting her. They loved talking to her! After swimming all afternoon we changed clothes and walked over to the Grand Floridian for dinner. It was a beautiful night for a walk. The Grand Floridian is a beautiful resort. 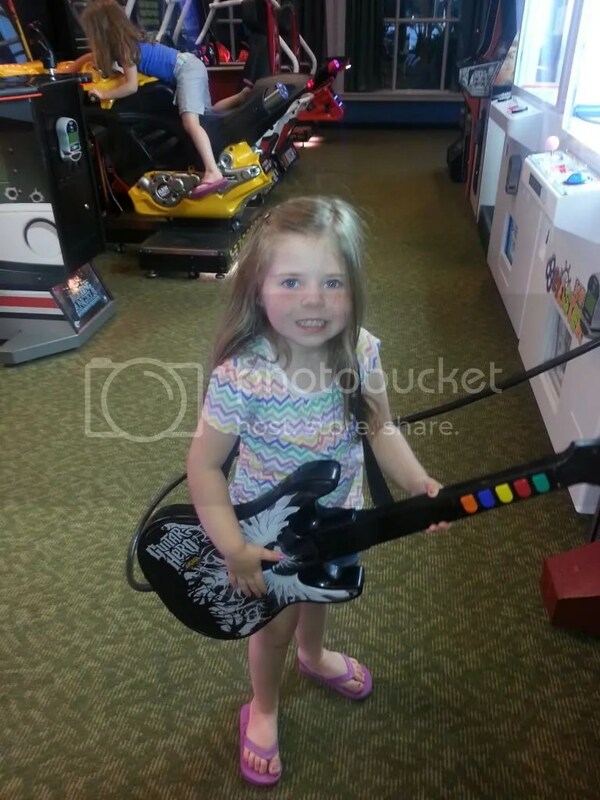 Abigail played some guitar hero. 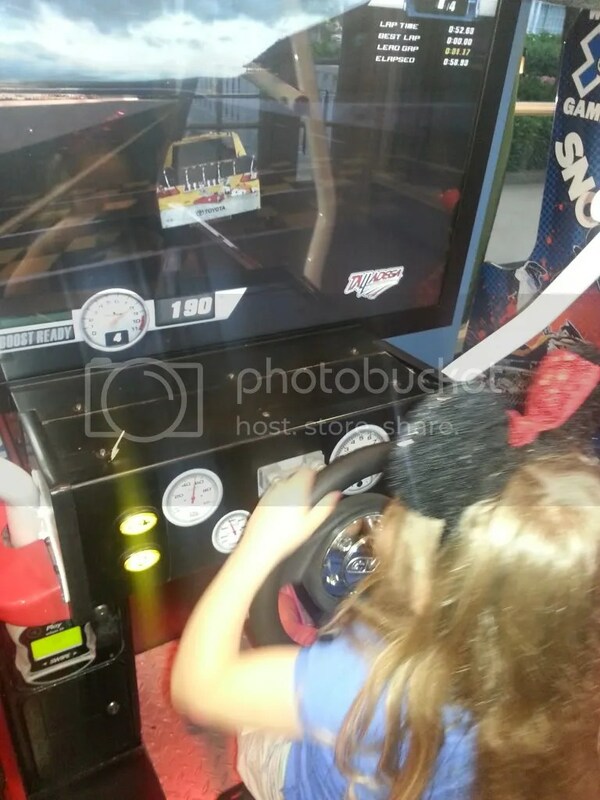 Kate tried to improve her driving skills. Another great day at Disney World. Our last day we head back to Magic Kingdom, the perfect way to end our vacation.